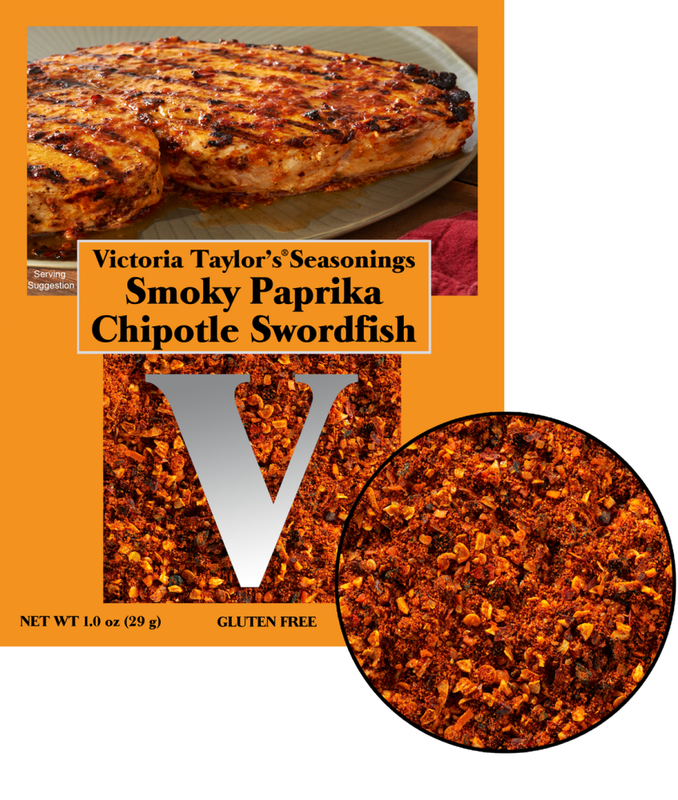 Smoky Paprika Chipotle seasoning blend gives a smoky, spicy flavor to grilled fish making it irresistible. This is a one time use packet designed to make Smoky Paprika Chipolte Swordfish recipe which is included on the back of the packet. Ingredients: Mixed spices (chili pepper [including chipotle 10%], cumin, oregano), garlic and onion, paprika 16%, sea salt, demerara sugar, natural mesquite smoke flavor, and silicon dioxide added to prevent caking.